The documentary Hearts and Minds (1974) directed by Peter Davis is a scathing indictment of US involvement in the Vietnam War. The disjointed structure of the film leads the director to slowly reveal his ideas about the conflict. The aura surrounding the film is one of scolding the US government and also those associated with the war who still believed in its’ validity even after returning home. Hearts and Minds is a powerful documentary that skews the perception of the war in favor of the opposition. To say the Vietnam War was a good idea is a fairly unwise statement; most people now would agree with this. Yet during the early 1970’s the Cold War was still very real and Communism was a perceived threat to freedom. Those in the documentary who support the war, includind a POW who was captive for six years, were relegated to the role of fools. The idea that they could find the war important is mocked by the director. These men are held up as examples of the evil of the American government. Yet in the context of the time in which this film was made, the notion that the Vietnam War was a good idea was the prevailing and accepted idea. To hold these men up to ridicule because they were loyal to their country is unfair to them. They served their country as best they could and to deride their image for a personal, and at the time marginal belief, is just as bad as those who spit on Vietnam Vets or called them “baby killers” when they came home. Another device the director uses to convey the wrongness of the Vietnam War is curiously high school football. This scene juxtaposes images of poor Vietnamese peasants being killed with scenes of a night at a high school football game. The young football players get riled up before the game and then play while concerned and peppy cheerleaders watch. The images from Vietnam during the montage show feeble adults and scared children being brutalized by American soldiers. One has to ask though, what is this montage supposed to be conveying? Is the director saying that high school football trains young Americans to be able to engage in atrocities during wartime? Most probably, this is what the director is trying to imply and this rings very false. The relationship between football and savagery are tenuous, at best. Davis could have just as well spliced in images from a rugby match, which is much more violent than football, being played with no padding or helmets. Therefore, his allusion that American youth culture breeds violence is unfair to those school children whose images were used in the film and who may or may not have turned into violent people because of football. This documentary proves the fact that it is very difficult to produce an objective portrayal of truth, even in non-fiction films. Noel Carrol argues that documentaries may not project reality, but on the other hand, fiction can sometimes be considered close to reality(Carroll, 239). As in the case of Citizen Kane, which is loosely based on William Randolph Hearst’s life and which caused Hearst to ostensibly ruin Welle’s career for his honesty about the mogul. The whole issue of objectivity in documentaries brings out the fact that every person has a unique view of reality, which varies widely from other people’s view of reality. Therefore, the maker of Hearts and Minds was just introducing his view of the Vietnam conflict from his specific position of reality. Though the portrayal of veterans is often underhanded, this is apparently how Davis felt from his own reality. 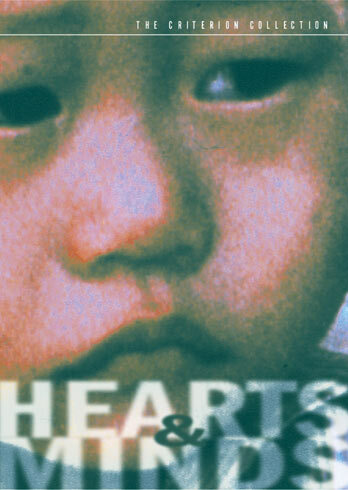 Hearts and Minds stands as an example of a documentary that exposes important information about the Vietnam conflict but also skewers those involved in it. Overall, the film is uneven in its sentiments but that is because everyone’s take on reality is different and therefore valid, no matter how upset it makes the audience.